Utilizing our thorough know how, our logistic expertise and long experience in implementing custom tailored solutions we can assure that we will achieve your production optimization. We design and implement 3d solutions according to your needs. 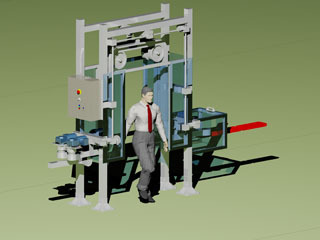 We provide handling solutions that help you increase production efficiency. 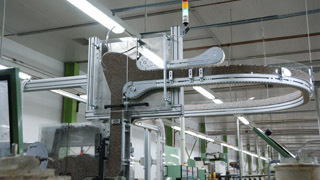 Elevate, accumulate, distribute, divert, flip, turn or push products in different manufacturing processes - you can do what you want with our proven, flexible and reliable handling systems.